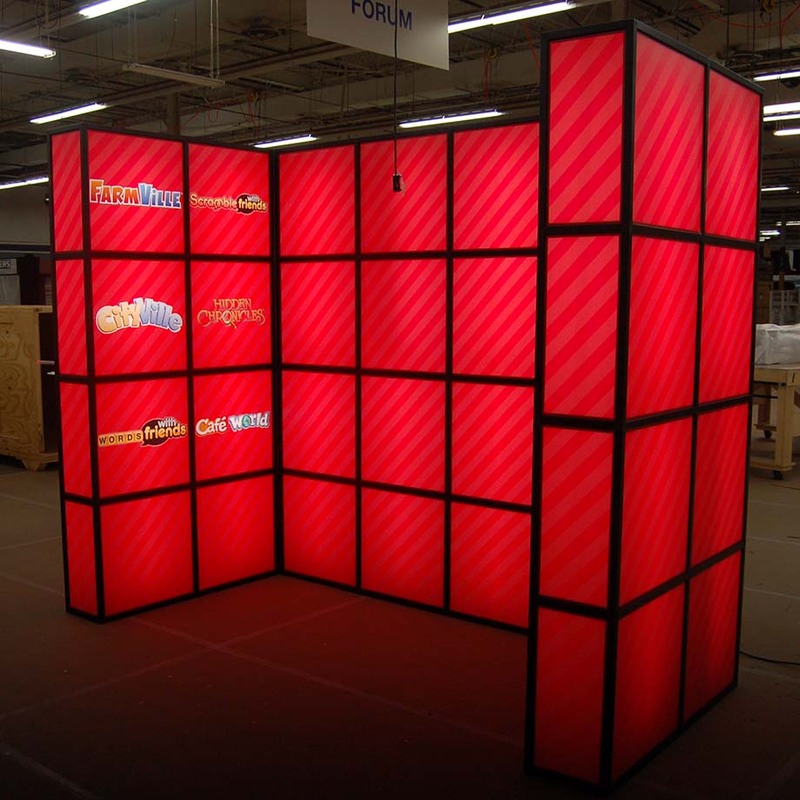 In the battle for attention, the brighter the better, which points to the value of lighting up your display; both external and internal, to help you get noticed. 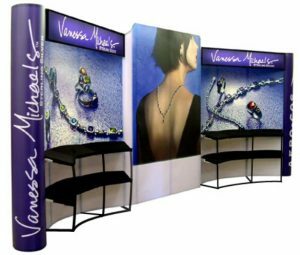 The need for spotlights for external lighting is obvious, but perhaps more subtle and most effective, internal lighting can create drama and atmosphere within your space. 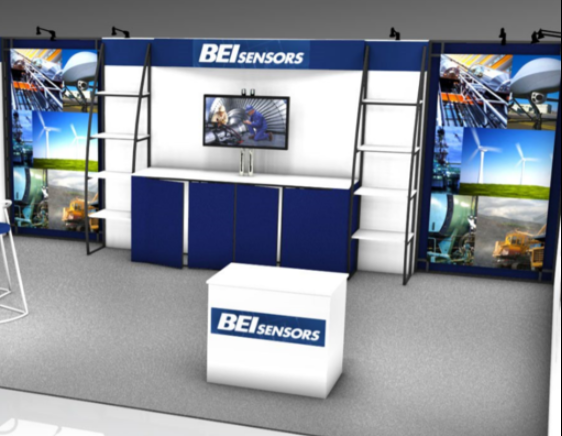 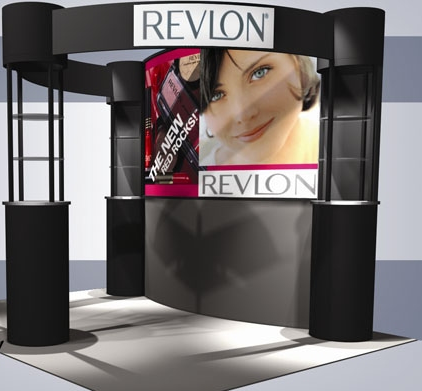 Internal lighting can add emphasis to your display and focus to your message by highlighting your graphic images as shown in the displays below. 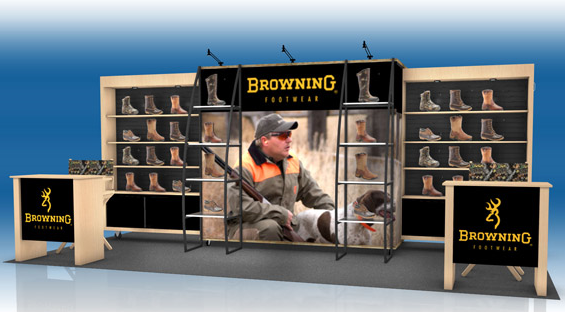 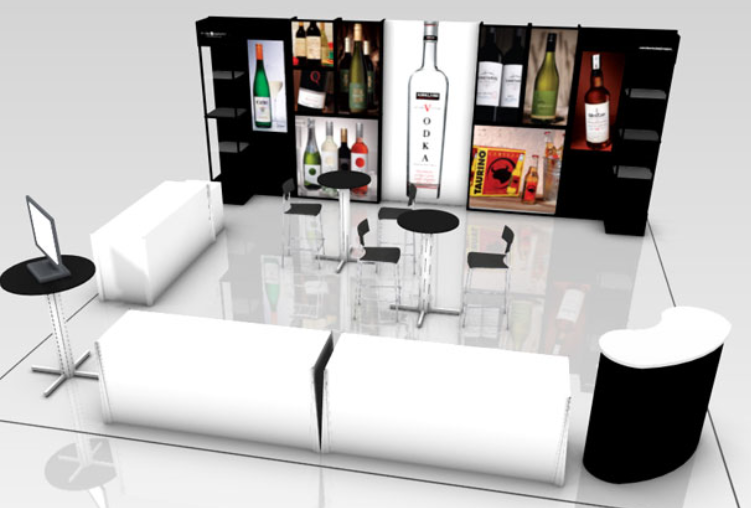 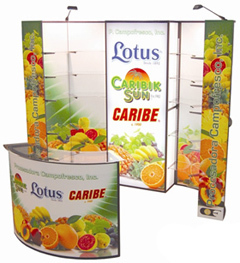 Your backlit display is also a medium to create a mood or an environment for your product. 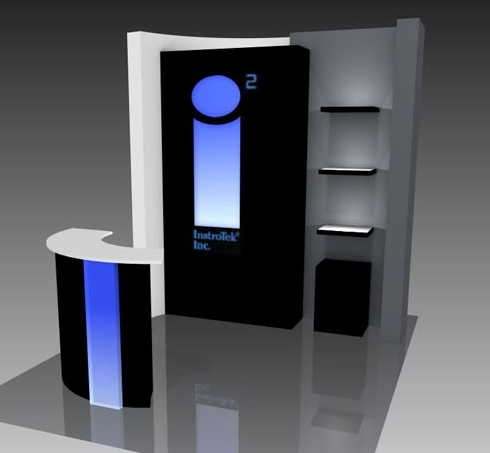 Internal lighting creates drama, excitement and interest. 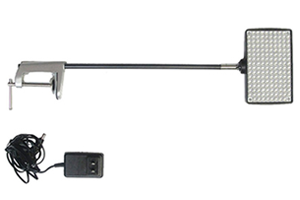 LED Ladder lights make thin backlight displays more functional and less fragile. 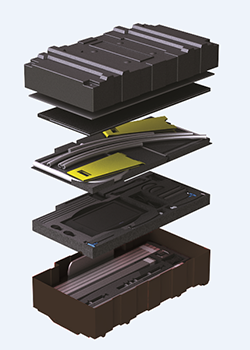 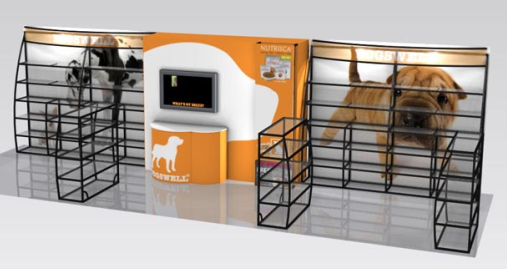 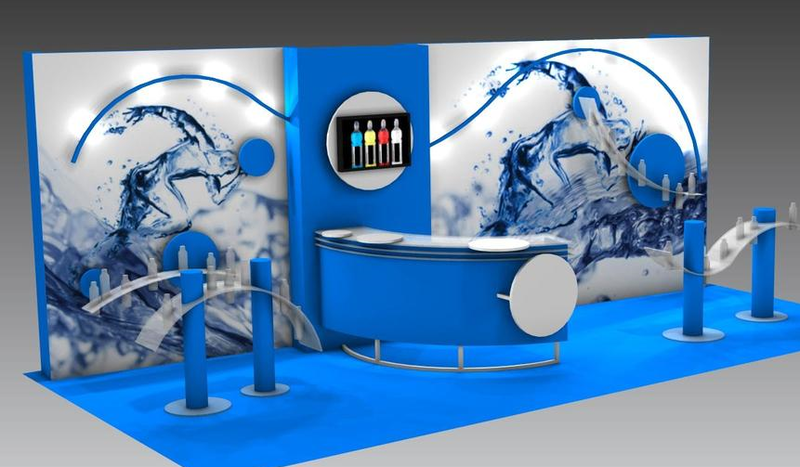 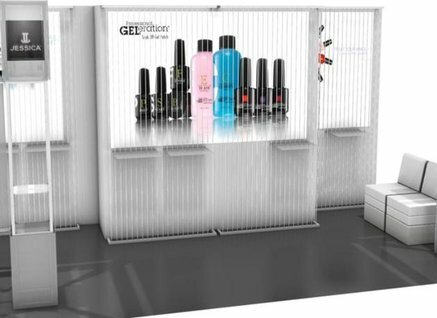 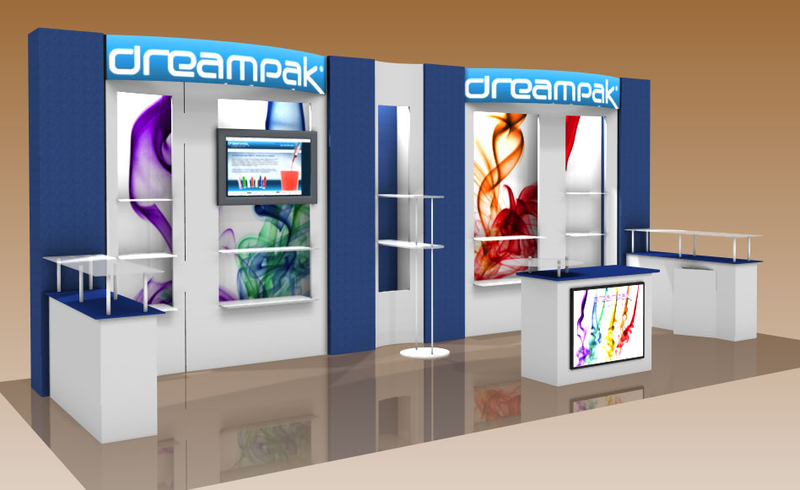 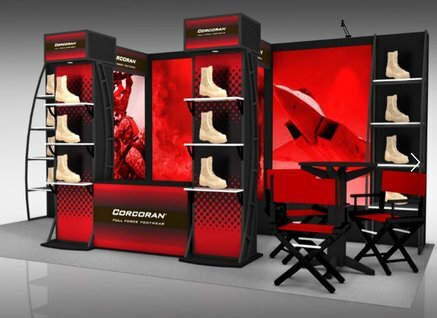 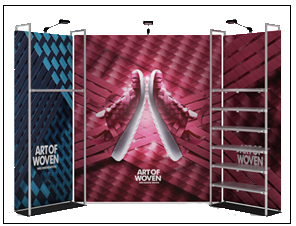 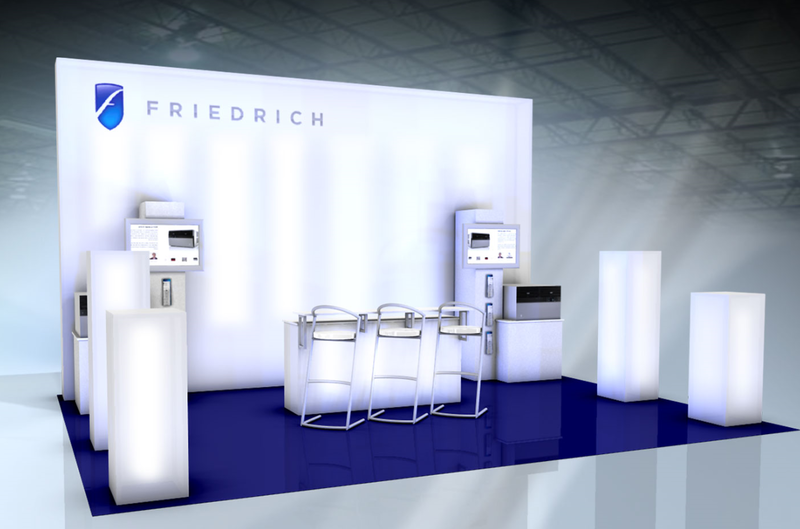 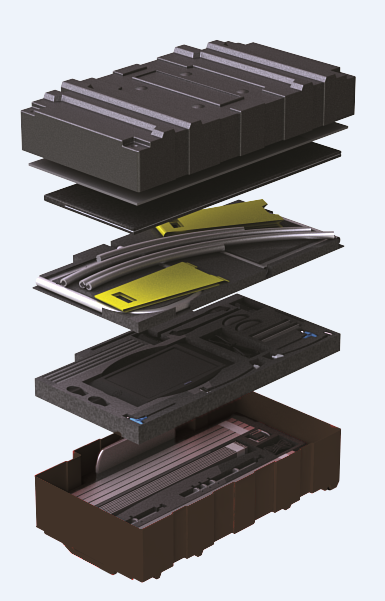 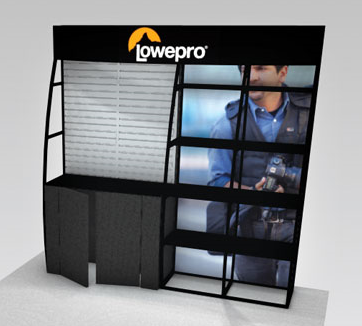 LED Lights provide more design flexibility for our thin-profile WaveLine fabric frames, our FabPop pop-up, our Market Express and our OutRigger Shelf Displays. 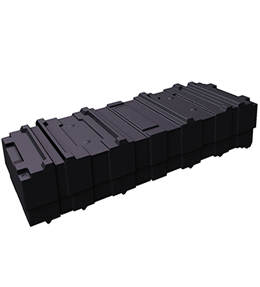 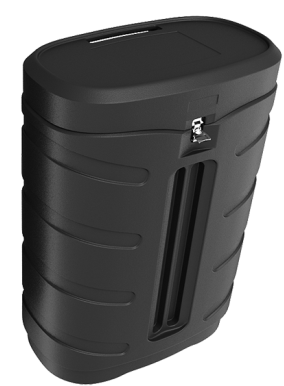 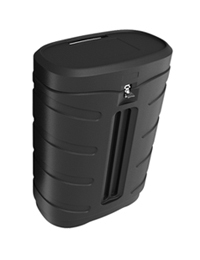 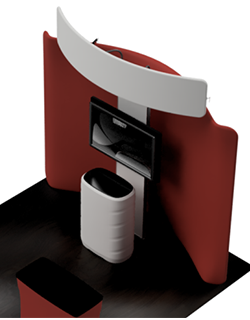 1-side graphic, CA900 podium case. 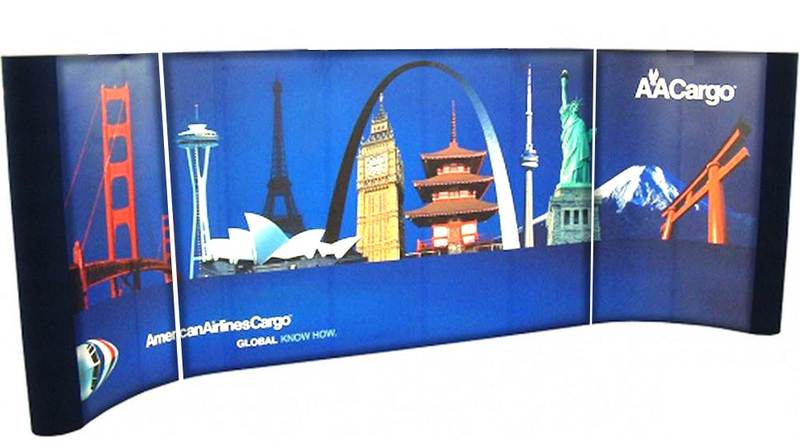 For all the impact, our back-lit displays remain very portable and easy to set up. 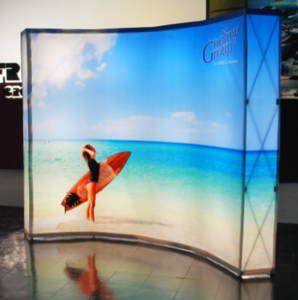 A BrightLight Backlit can stand alone as your complete display or a Backlit section can be incorporated into your display to draw attention to a single aspect or the most important feature of your product or service. 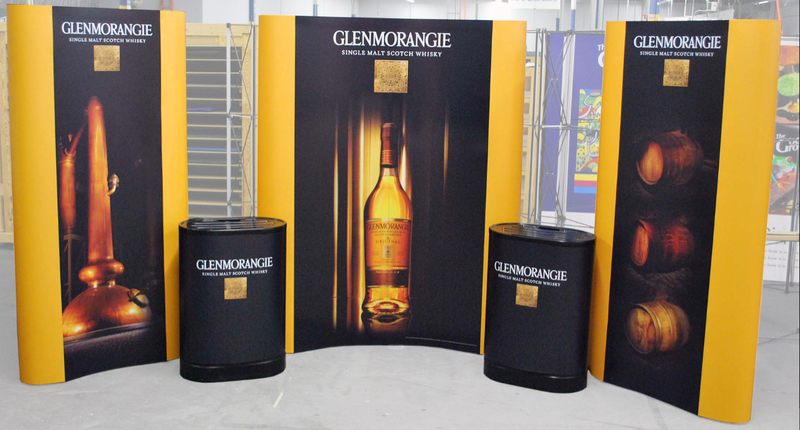 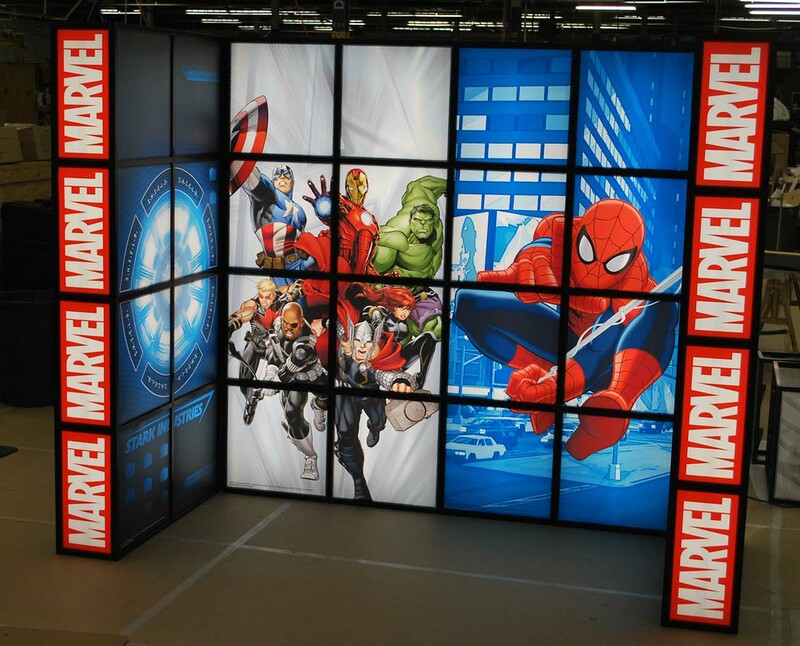 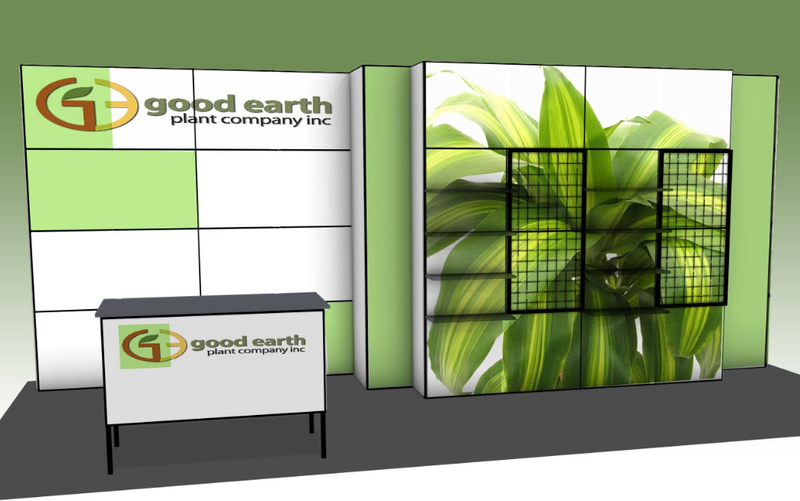 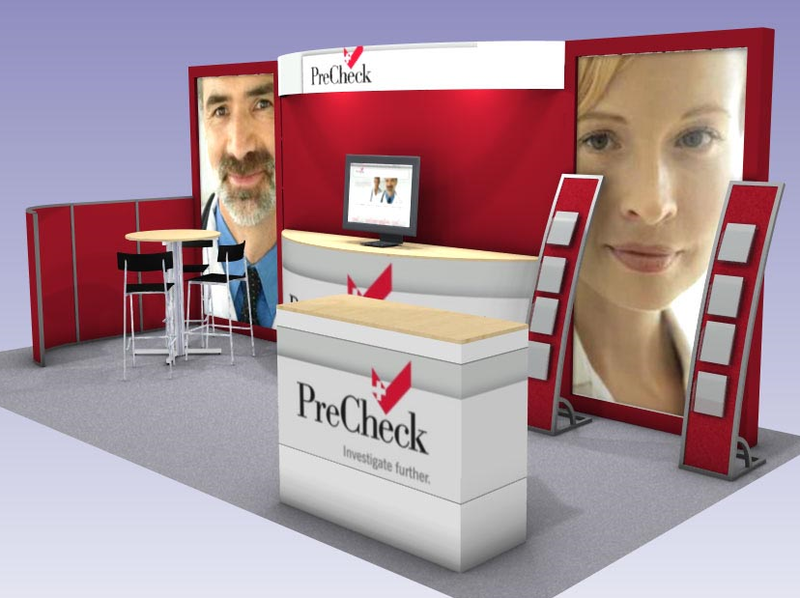 A Backlit Display is a great budget option for events because of its high impact value and low cost. 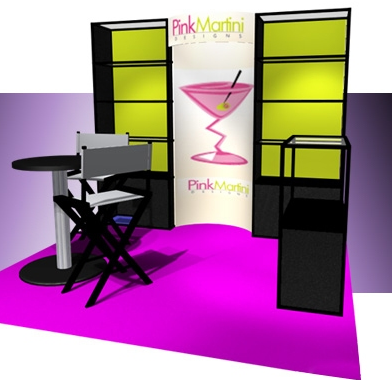 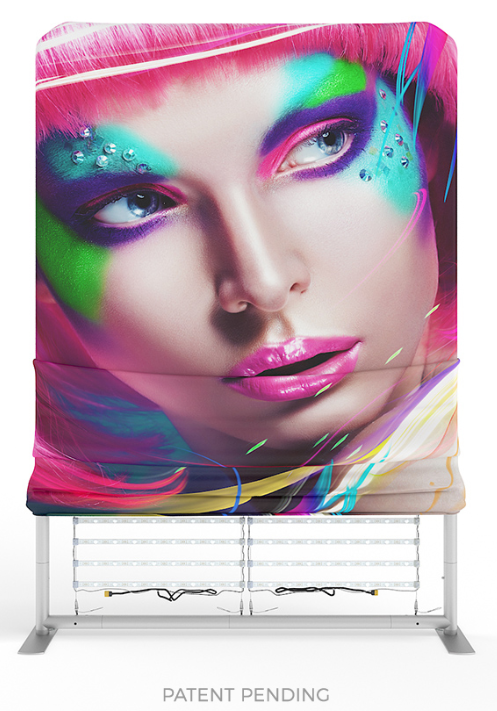 Price includes lights, Straight Wall, graphics & soft tote. 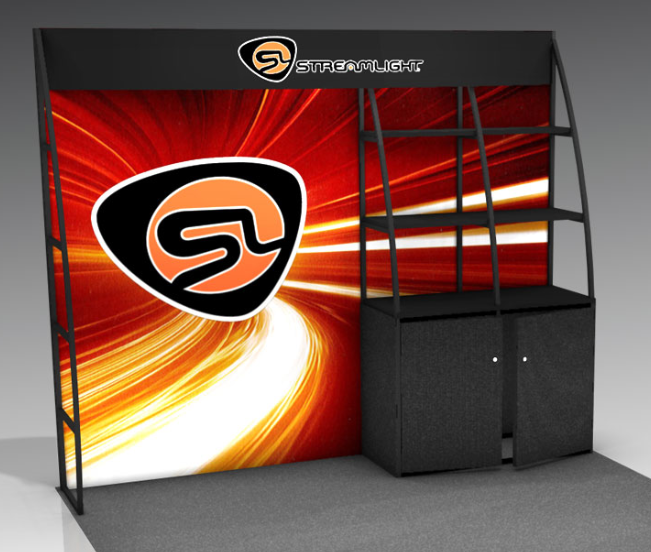 Price includes lights, Curve Wall, graphics & Hard case. 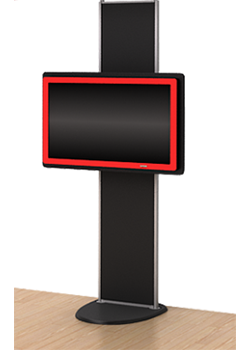 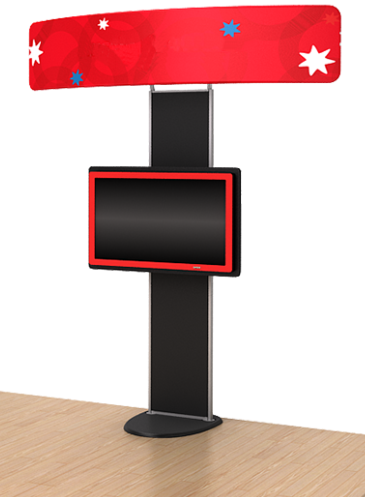 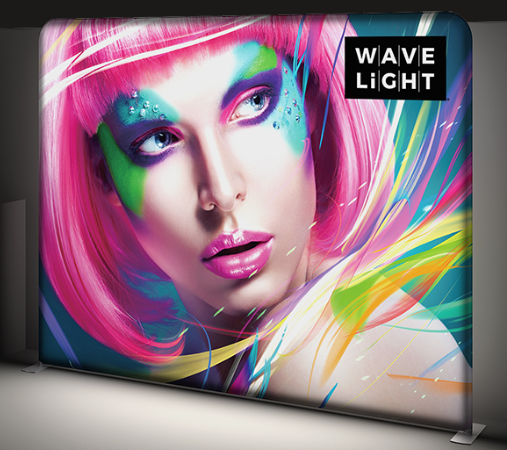 With internal lighting, the 2 inch incredibly thin profile of the Waveline makes the WaveLine a compact medium for your message and the frame blends easily with other structures or works as a bright standalone display. 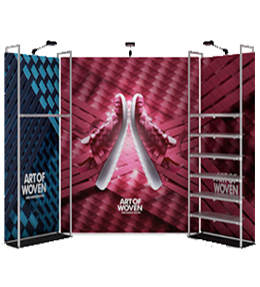 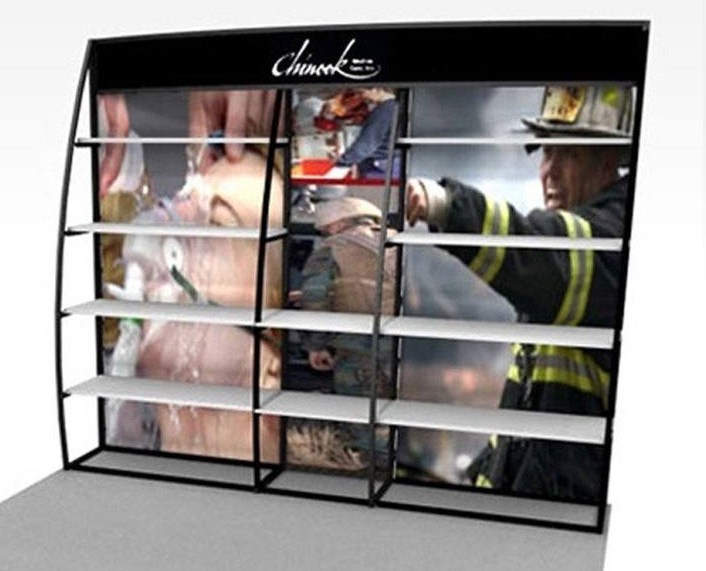 The OutRigger shelf accessory is added to the Wavelight display frame to provide a dramatic and exciting backdrop for your products, while adding emphasis to your sales message. 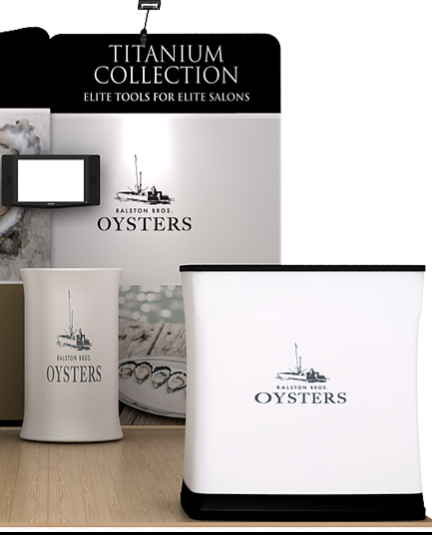 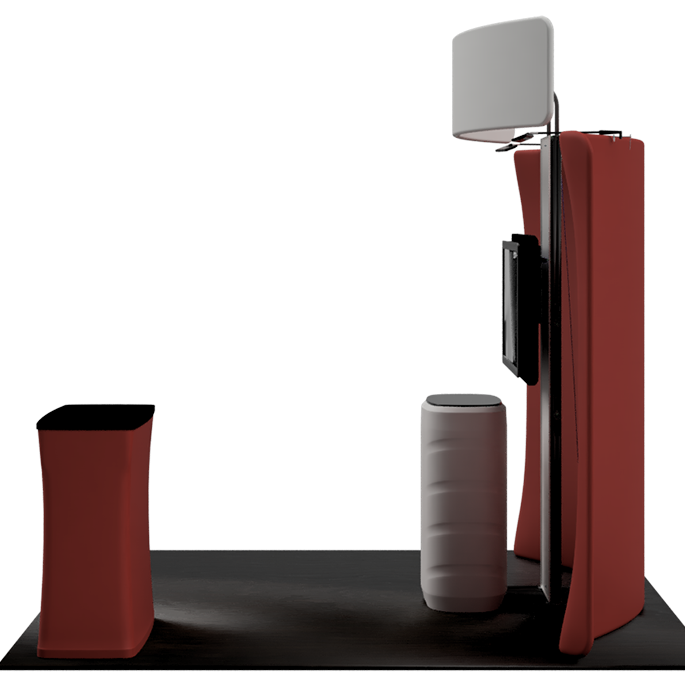 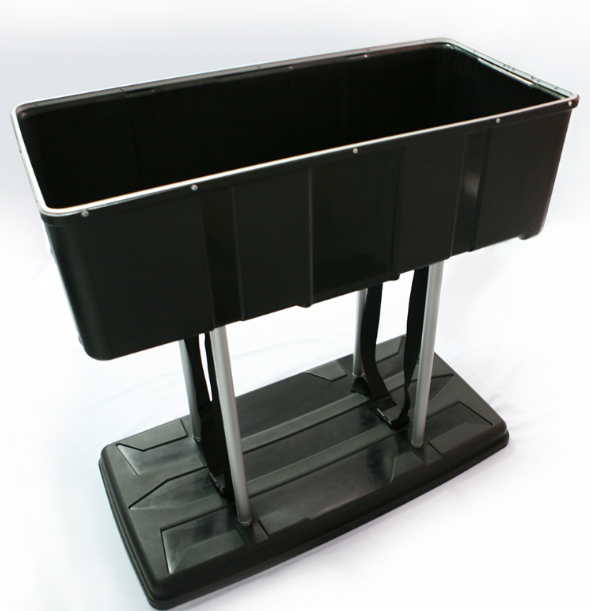 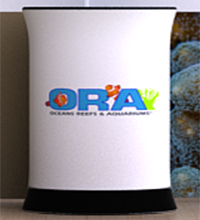 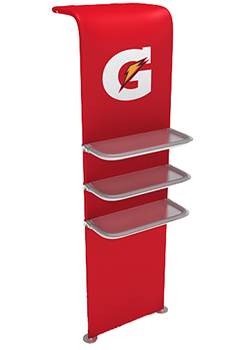 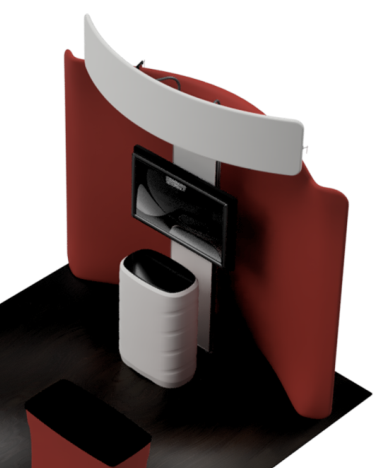 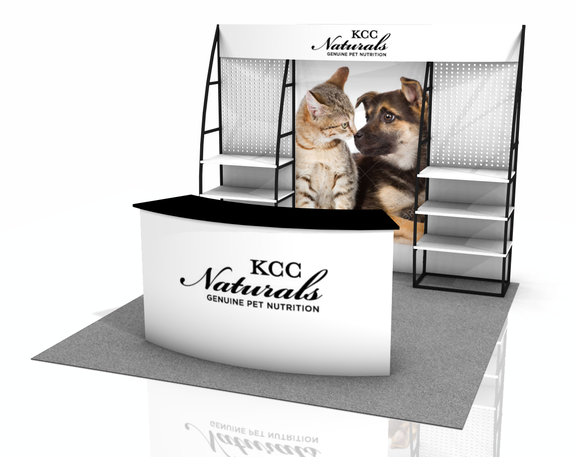 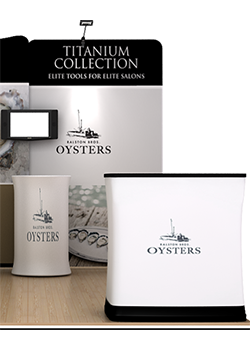 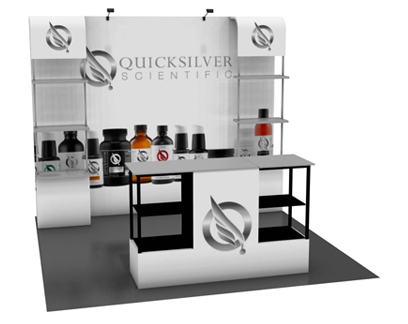 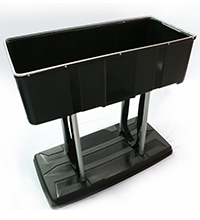 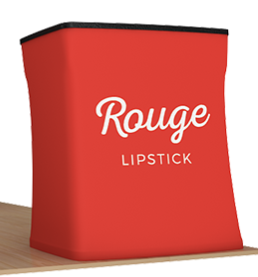 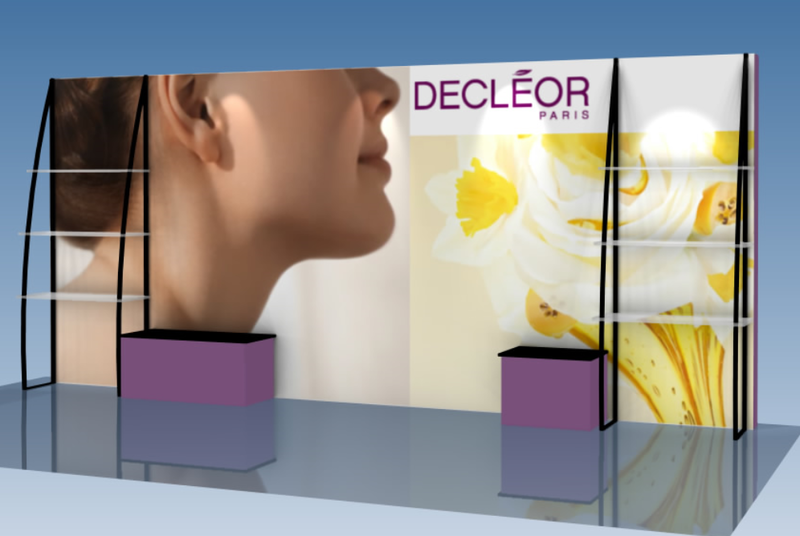 The OutRigger provides a shelf system that blends your product esthetically with your Backlit graphics. 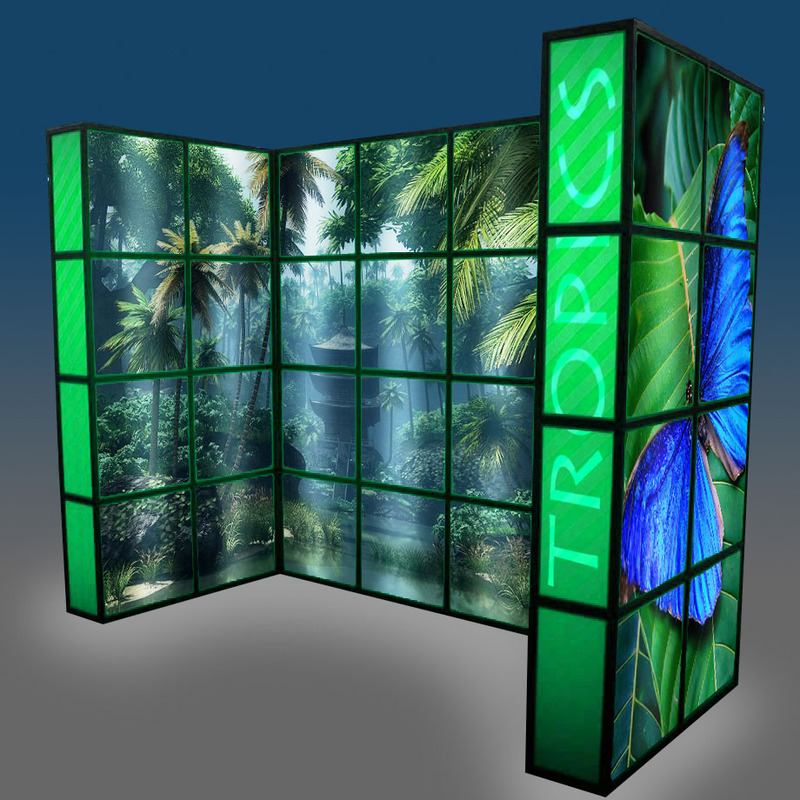 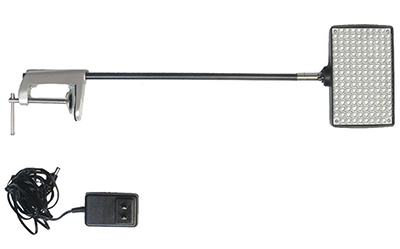 Visit the OutRigger Display section of this website or request a quote. 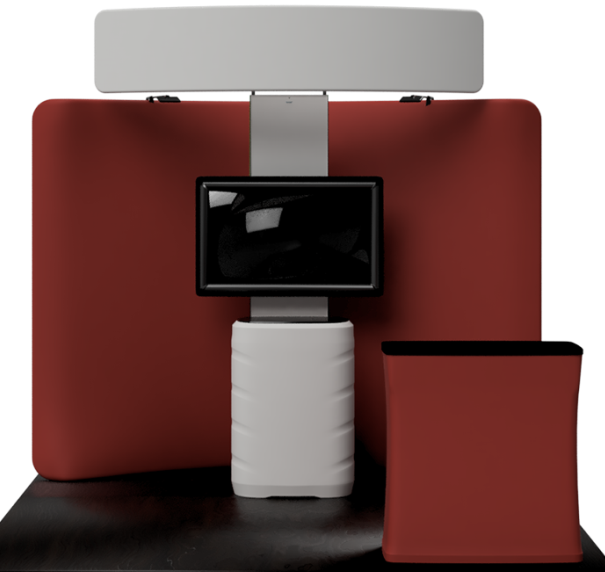 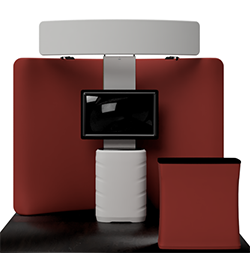 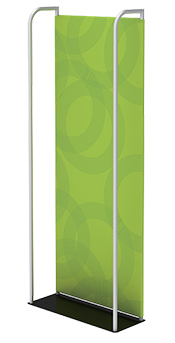 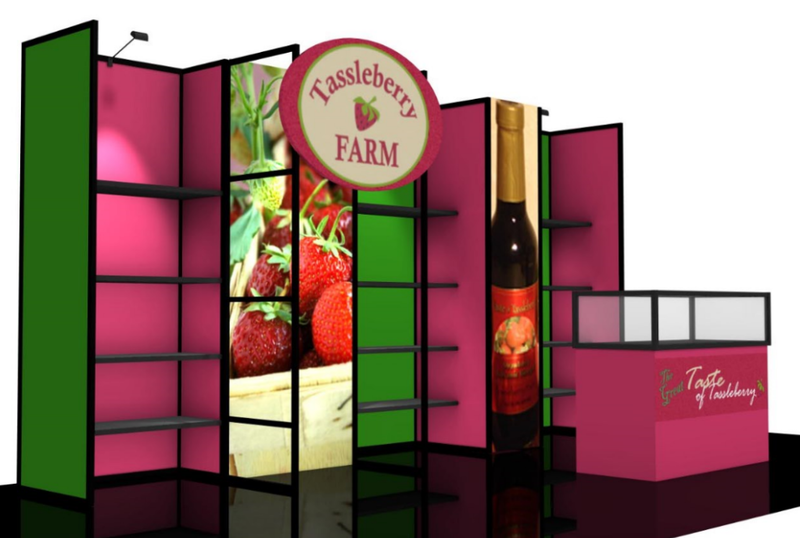 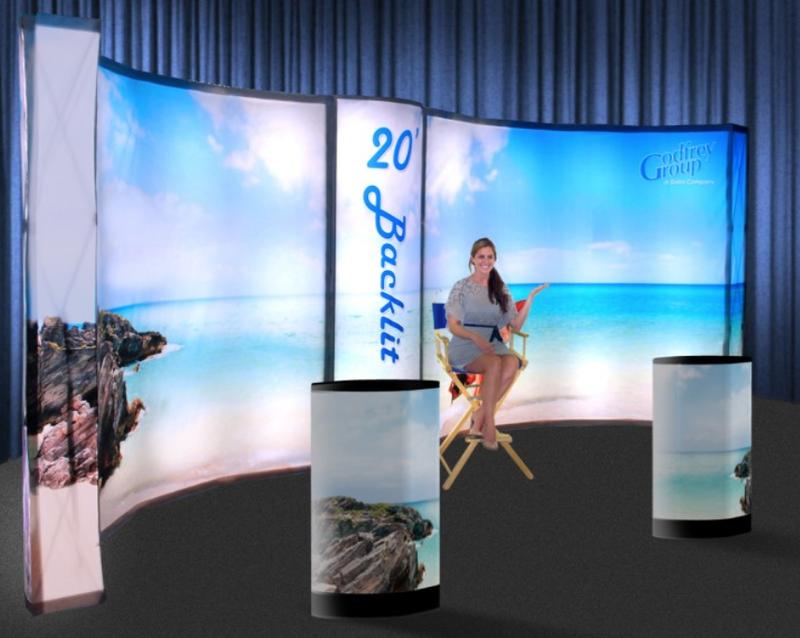 Adding backlighting to our FabPop adds pop to your Pop-Up Display. 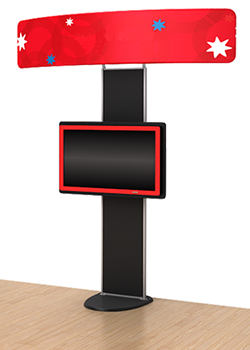 The added depth of the FabPop display becomes even more dimensional with the addition of internal lighting. 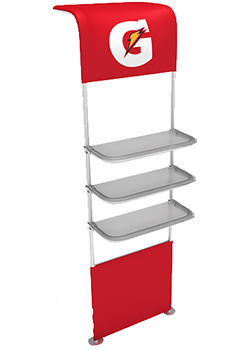 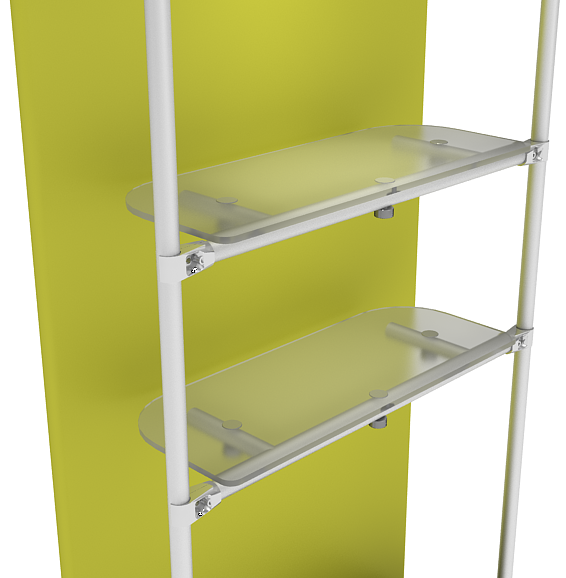 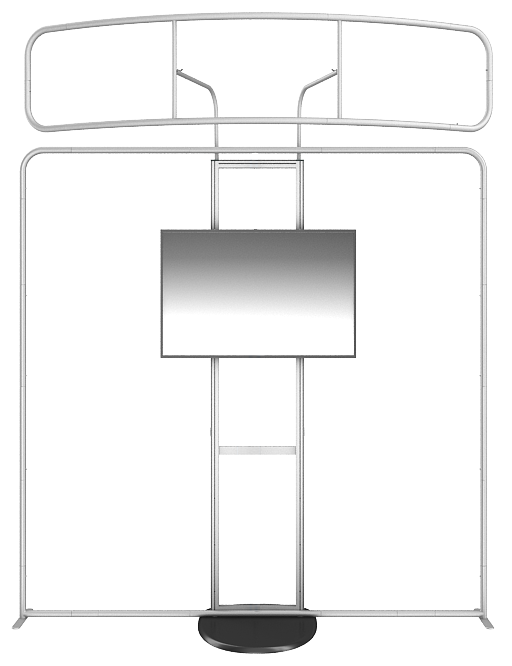 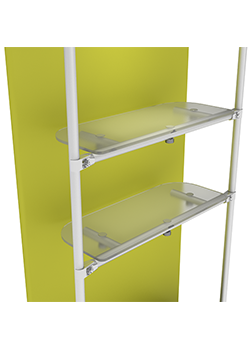 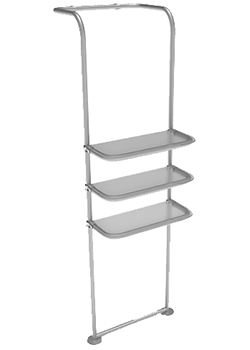 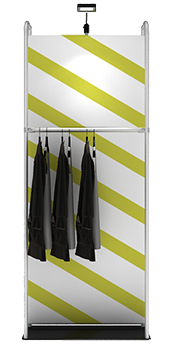 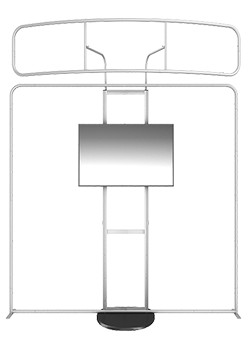 The Market Express is a lightweight, heavy duty merchandising frame that accepts internal lighting along with merchandising accessories like garment hangers, hooks and shelving. 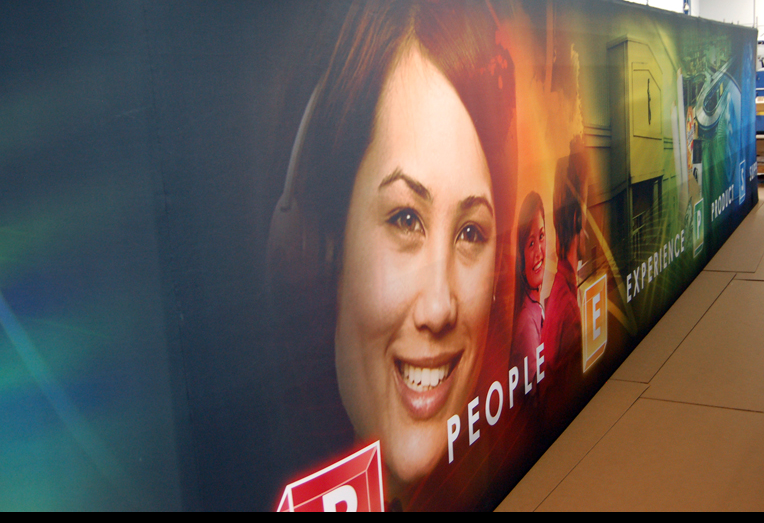 The backlight enhances your graphic message and adds excitement and interest to your presentation. 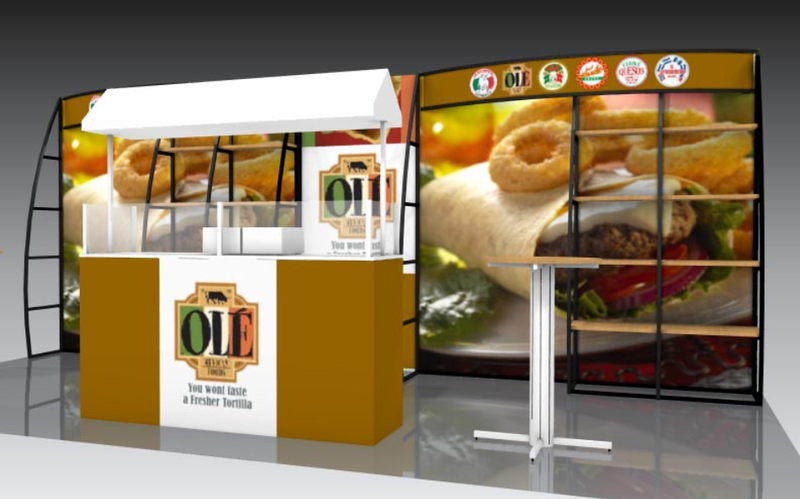 The Market Express is like a retail environment, but much more portable. 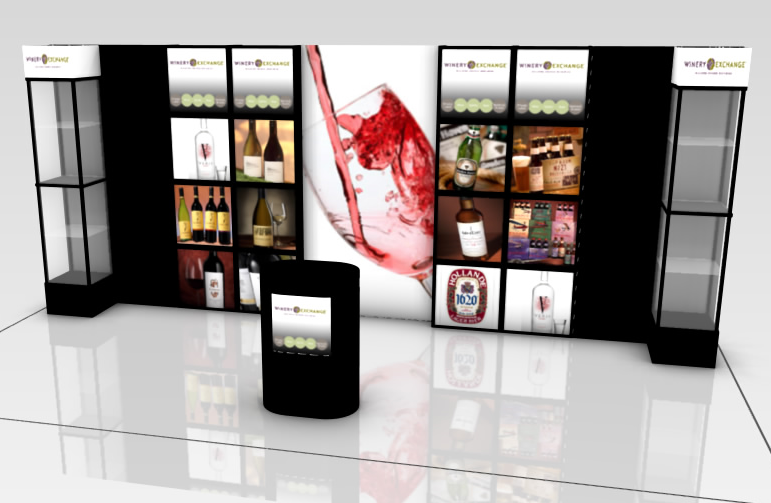 Visit the Market Express Section of this website or request a quote.